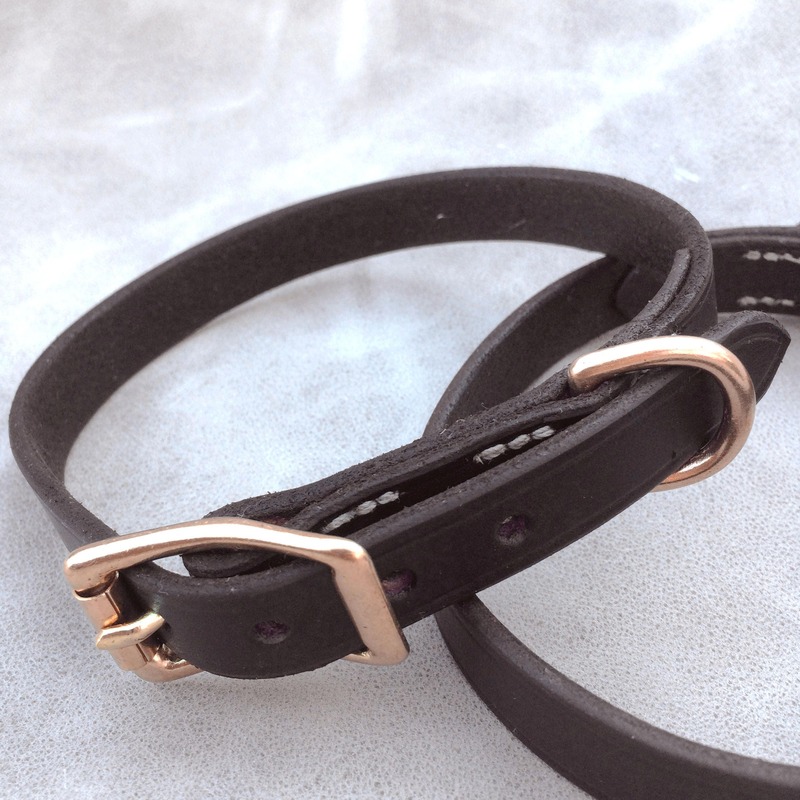 Leather dog collars that come in a variety of widths and lengths. 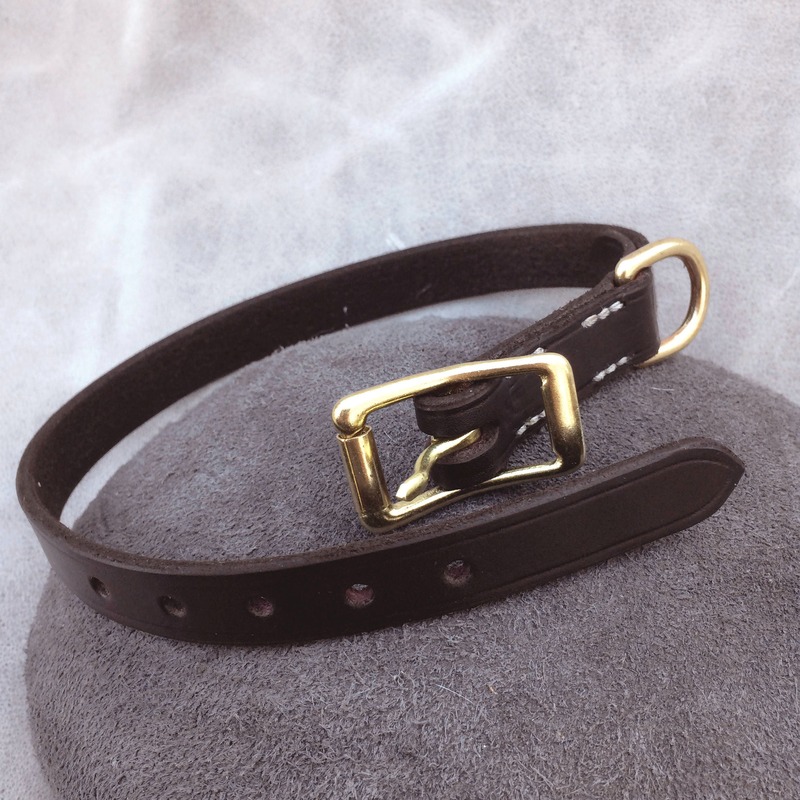 Made from high quality English bridle leather and solid brass hardware. 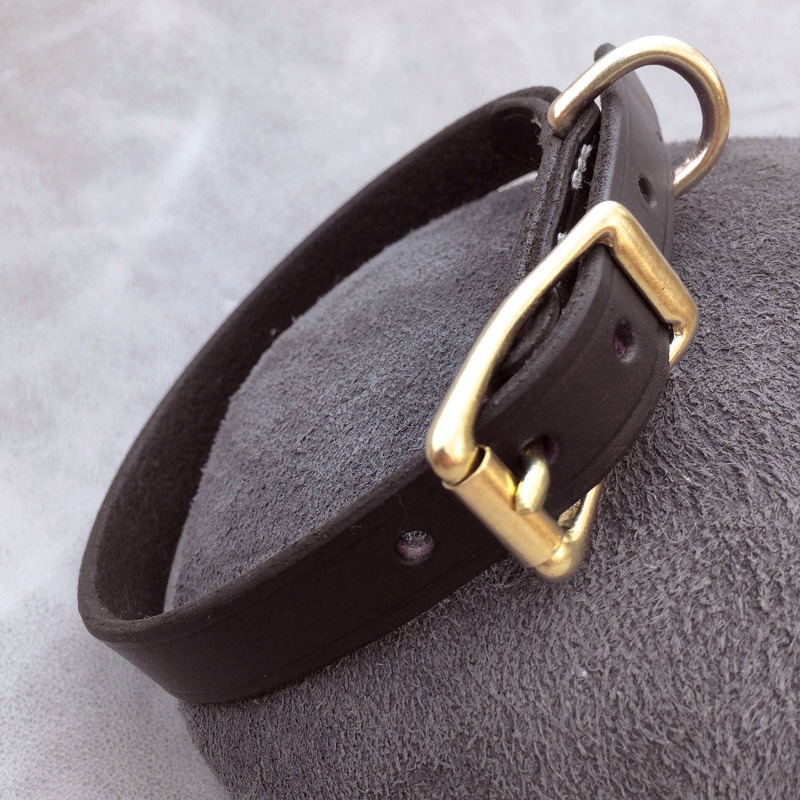 Each collar has just the right amount of oil with sealed, waxed and slicked edges. See our other listings if you want a personalized plate.